Sexual harassment allegations have now claimed two high-profile CEOs in two weeks. After Uber CEO Travis Kalanick had taken an indefinite leave of absence following allegations of widespread sexual harassment and discrimination at his company, TVF CEO Arunabh Kumar has also stepped down from his post. 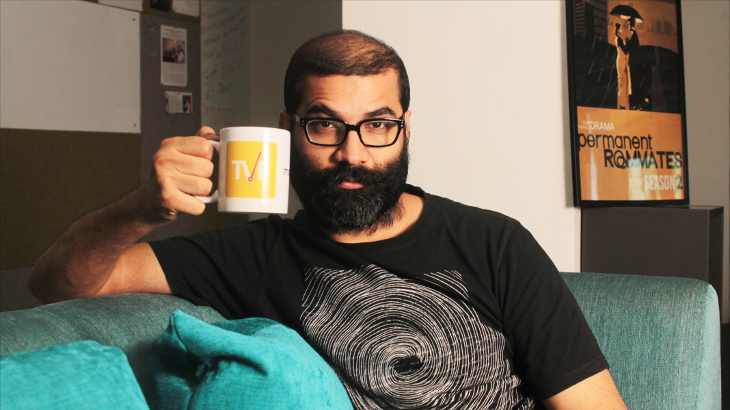 Arunabh had been facing personal allegations of impropriety leveled at him by a clutch of anonymous and in-the-open ex employees and colleagues. He will be replaced by TVF’s current COO Dhawal Gusain. Gusain is not a part of the founding team of TVF, having joined the company in 2015 after having worked with companies such as Hindustan Unilever, DropThought and PwC’s Strategy. In February this year, an anonymous blogger had claimed that Kumar had sexually harassed her while she was employed by the company. TVF had been dismissive of the allegations, saying that no employee as described in the blog had ever worked for them. But several other women had then come forward with their stories of how they were harassed by Kumar. Some of them had chosen to not be anonymous — filmmaker Reema Sengupta who’d worked with Kumar during a shoot said that he’d inappropriately touched the tattoo on her back and invited her over to “watch a movie” with him, and Reshma Patra, who was batchmates with Kumar was at IIT Kharagpur, had alleged that he’d asked her to” get naked and see me stripping and dancing *for him*,” when she’d met him for coffee. Yet another woman, Rafiya Khan, had said that Kumar had touched her inappropriately. No formal complaint, though, had been filed for the longest time, leading to outrage on social media. Eventually, a woman had come forward and gone to the police, who’d registered an FIR. Kumar had been granted interim bail in April, and the Mumbai Police had filed a 275 page chargesheet against him last month. Kumar’s removal as TVF’s CEO has remarkable parallels with Uber CEO Travis Kalanick’s leave of absence. Both allegations had been initially made by bloggers with posts on Medium — in fact, the blogger who’d accused TVF had called herself “Indian Fowler”, in reference to Susan Fowler, the ex-Uber employee who’d written the Uber post. Following the publication of the both blogs, more women had come forward with allegations. And both companies have had their CEOs ousted within the same timeframe — Uber CEO Travis Kalanick had gone on an indefinite leave of absence just two days ago.